Wes Craven was the master of suspense in the world of film. Seems like a faint praise, doesn't it? Seems like the usual jargon someone conjures in any eulogy for any excellent filmmaker. But Wes Craven was above any sort of merit one could put to his name. Wes Craven helped shape the landscape the horror genre called home for decades, for better or for worse. He helped build an empire in the particular genre, then he turned around parodied it and only Craven himself could get away from it. There was always lots of blood and guts in Wes Craven movies, and while I prefer genuine scares over gore, Craven was able to blend the best of both worlds for the betterment of our nightmares. Take "The Last House on the Left." From the films premise, it sounds like standard operating procedure for horror movies, but Craven helped cement it. For those who haven't seen the film, it was quite notorious for its time. There is a scene were two women are brutally dismembered and killed. Craven created a scene so tragically disorienting and so gruesomely realistic that it you could not be shaken by it. There was no overacting by the actors, there was nothing cartoonish or unauthentic about the direction. It literally looked like someone caught a murder on camera, and the first time I saw it, I didn't know whether to be scared or get on the phone and report a crime. It was that brutally clear, and it was relenting that this one moment wasn't the most upsetting moment in the entire movie. Wes Craven didn't just create shockingly realistic deaths, he created memorable characters. Characters that will be sunken into the world of American cinematic canon. Wes Craven gave us Freddy Krueger, and after all the sequels and character-changes, that may seem like a small wonder. But let's face it, no matter how many "Nightmare on Elm Street" movies you have seen or have not seen, Freddy Krueger is a brilliant character. He's somebody that has adapted into every era. He is a character that can be crushingly funny yet cripplingly repulsive in equal measure. Much like The Joker, every time Krueger shambles onscreen, you won't know whether to scream, laugh or vomit. There are very few characters that have such power, and Craven delivered one to us and made it all look so easy. With "Nightmare on Elm Street," Craven helped shape the slasher movie. In the late 1990's, the world thought they had all the subgenre had to offer. Then Craven completely out-did himself, he did his own little victory lap around his exposed id. Wes Craven made "Scream," a movie that may seem like a parody to most at first glance, but there is so much more the movie offers than a relapse of slasher movie norms. Craven took the sub-genre he helped create and gave it a 180 degree turn. He created a movie that commented on slasher movies while also revolutionizing them forever. There is no dumb luck involved when Craven created so many memorable and long-lasting franchises in the horror genre, Craven demonstrated an excellence in what made the genre tick in the first place. Though "Last House on the Left," "Nightmare on Elm Street" and "Scream" are his most memorable films, Craven made many a nightmare. "The Hills Have Eyes" has stayed on my mind ever since I saw it. "Red Eye" was a low-key thriller that was better than it needed to be. "The Serpent and the Rainbow" wrapped itself around me within its strange world. 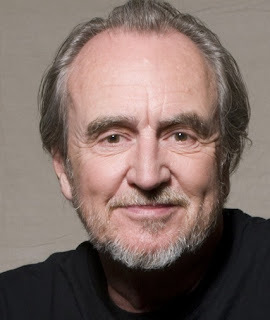 Most of all Wes Craven proved to us that horror movies matter. They can exercise our inner demons, they are a comment on our culture on our emotions, they represent humanity at its worse, yet educating us on why we are great. Wes Craven's films did all of that and more, which is why he should be remembered.